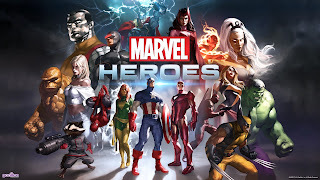 The original title for this post would've been "10 reasons why you should switch from Marvel Avengers Alliance to Marvel Heroes", but then again, I haven't been able to give up MAA completely (yet) & it does have it's good points for being just a Facebook game. 2. Eternity Splinters- These are basically collectable drops from defeated mobs or bosses. 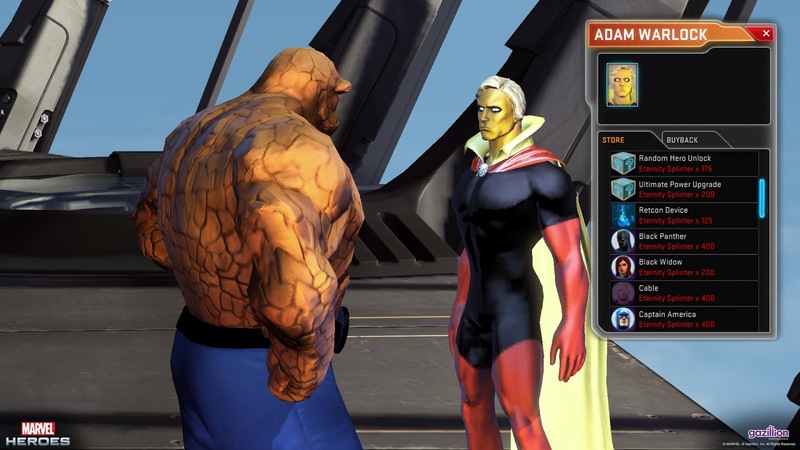 Collect them & you can turn them in to Adam Warlock to get a new hero or to level up an ultimate power for a hero you already got or to buy various other items. This is pretty cool cos it means that a casual player who has absolutely no intention of spending on the game can do so AND also end up playing as their fave Marvel hero! 3. It's free. Oh yeah, did I forget to mention that before? Yup, it's absolutely free & like I said, with the splinters you don't really need to end up spending a pie on the game if you don't want to. You get to choose a free starter hero from the 5 choices you are given. From then on you collect the splinters to get new heroes or other items. 6. Gazillion actually cares. Gazillion constantly reviews forum posts to find out what it is they need to improve or change. Several changes that have happened in the game have been a direct result of this system. The devs are very much active on the forums & very often post their own replies to various posts in the forum. Gaz isn't just out to get your money- they actually want to make the game even more fun with every passing patch that it gets new players to play while also making the existing players happy. I seriously think it's commendable of them to introduce the ES idea. They could've easily forced players to spend money so that they can play as their fave hero, but no- they kept the big picture in mind & went ahead with the ES introduction. 7. Amazing customer support- Unlike Playdom, the customer support of Gazillion is great! Prompt replies to tickets & no copy-paste replies! Even posting your problem in the forums helps! 8. 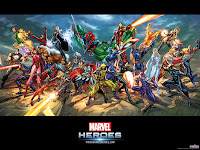 Play in Marvel environments- You can take your hero to the various places you've read about in the comics or seen in the movies, TV shows & cartoons. Right now there are 3 social hubs in the game- Avengers Tower, Xavier's School & the SHIELD Helicarrier. Asgard is going to be the next hub to be released (but there's gonna be some time before that happens). You get to smash & bash up enemies in the Savage Land, Latveria & Castle Doom, Mutant Town, Daredevil's Hell's Kitchen & many more. ^Some images from the Xavier School in the game. 9. Difficulty modes- Now once you've got your hero to level 60 you don't need to just twiddle your thumbs. You now have 2 new difficulty modes: Heroic & Superheroic. 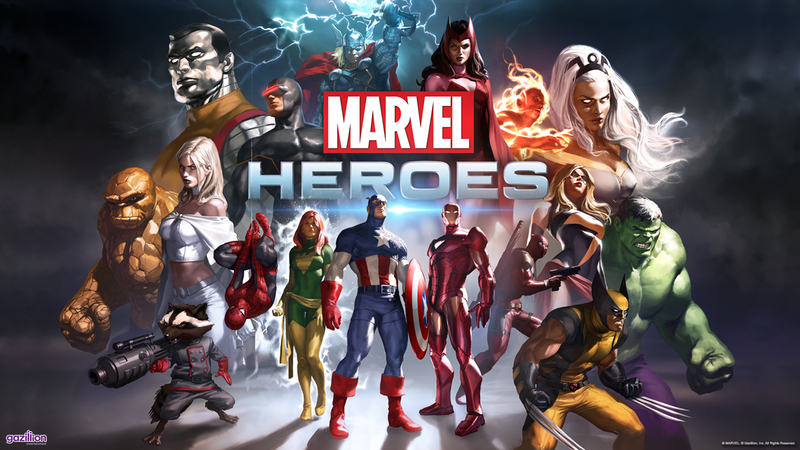 Normal mode can take your hero to around level 25, while Heroic will get you to about 45 & Superheroic should take you to the mid-50’s. These 2 modes also have boosted item find & special item find, with Superheroic having the highest bonus. After her, the next characters in the works for release are Luke Cage & Gambit to be the next new heroes in the coming months. They are also working on adding Squirrel Girl & possibly Nightcrawler & Ghost Rider in the future. 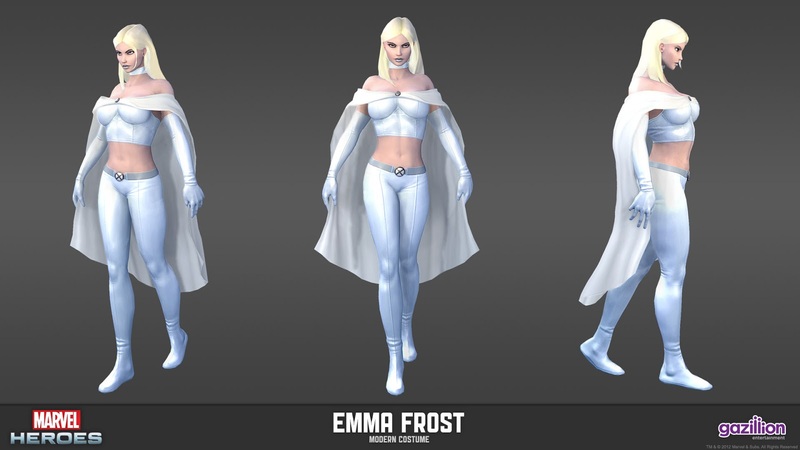 ^Emma Frost in the game. The first is her default costume & the other 2 are her alts. I just HOPE they add her Phoenix 5 costume!!! So there you have it. Need I say more? If you aren't playing already just head to their website, download the game & start playing! Also, I have an MH group going on in Facebook called Comic Book HEROES Are Hot which is the official group for the Comic Book Nerds Are Hot guild in MH. If you are a regular player already do join in & geek out about the game in there...Till next time, happy gaming! I used to play Alliance, but the curve was just too steep for a casual player like me. This looks good. Is the mobile game by Mobage the same? Yeah many old players of MAA have left it too just outta frustration at how annoying Playdom can be. I don't know abt the Mobage game but it won't be related to this. 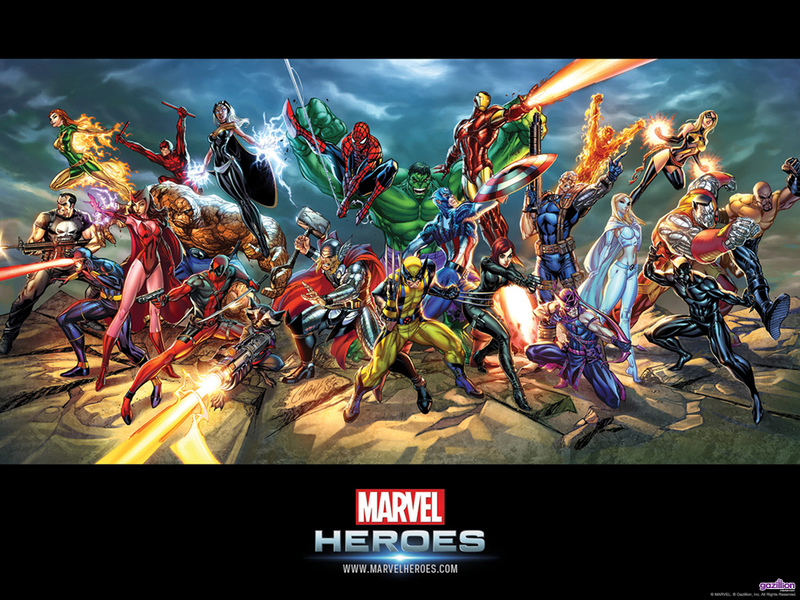 The Marvel Heroes MMORPG is by Gazillion.